​AC Milan have completed the signing of Krzysztof Piatek from Genoa for a fee believed to be in the region of €35m (£30.9m). The Polish striker leaves I Rossoblu after just six months and has signed a five-year contract to keep him at the San Siro until 2023. 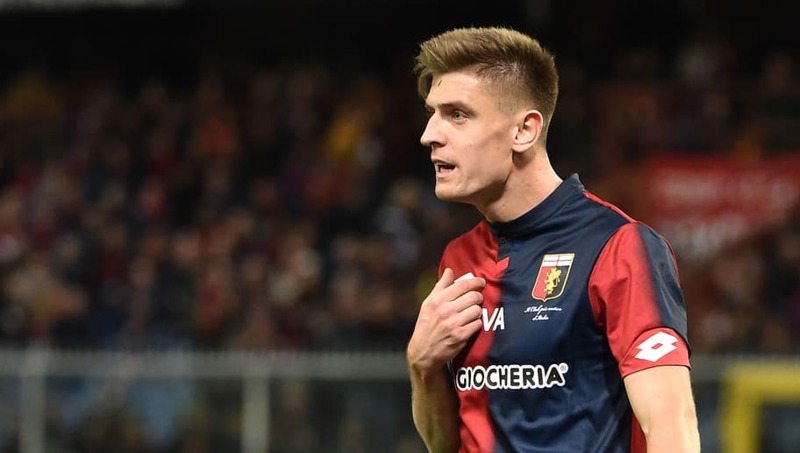 Piatek turned heads across Europe when he scored nine goals in his first seven matches for Genoa, scoring at least once in every match during that run. He made his international debut in September, scoring on his first competitive appearance against Portugal. He also scored all four of Genoa's goals when they thrashed Lecce in the third round of the Coppa Italia in November. He leaves the club having scored 19 goals in 21 matches at a rate of one every 93 minutes. The fee paid for Piatek represents an 775% increase on the €4m Genoa paid KS Cracovia for Piatek's services last summer. Nevertheless, his departure will be a huge source of concern for a team which is only six points above the bottom three despite Piatek's goals. The forward will replace Gonzalo Higuain at Milan, after he joined ​Chelsea, who in turn is set to replace Alvaro Morata, who is set to sign for ​Atletico Madrid. Like Piatek, Higuain was not involved in Milan's Serie A match against Genoa on Monday because manager Gennaro Gattuso felt that he was too distracted. With just six goals in 15 league appearances for Milan, he has not been the solution to their goalscoring problems. The fee received for Piatek is a new club record for Genoa, dwarfing the €28m Inter paid for Diego Milito in 2009.